Spread 4 bread slices with the jam. Spread the remaining bread slices with the cheese. 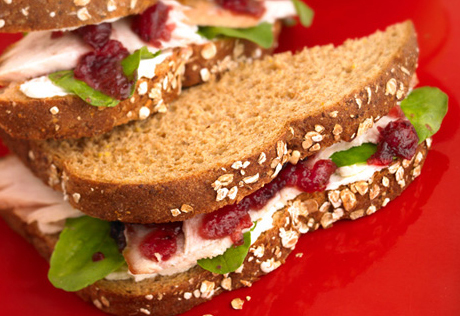 Divide the arugula and turkey among the cheese-topped bread slices. Top with the jam-topped bread slices.